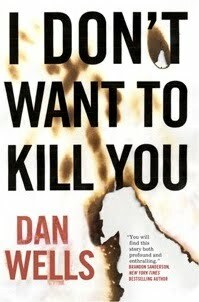 I’m not a Serial Killer assures us Dan Wells in his biography and immediately arouses my suspicion. Reading the first two novels in his paranormal serial killer trilogy doesn’t allay them. Someone, who can delve that deeply into the psyche of a 15 year old sociopath and has a lasting relationship with vampire bunnies, creeps me out. Fortunately there’s a big pond between Utah and Austria and the interview is conducted over e-mail. Let me get my pepper spray just in case and off we go. Welcome to Darkstar’s Fantasy News Mr. Wells. Please tell us why you and your main character feel the need to state “I’m not a serial killer”. In my case, I’m really not—I’m just a writer with a taste for creepy stuff. My main character, on the other hand, is a little more suspicious. He’s a sociopath obsessed with death, and probably just a couple of bad days away from becoming a real serial killer. He’s trying really hard to be good, though, so you should be safe. Puh! I won’t need the pepper spray after all. Please tell us more about your completely non biographical serial killer trilogy. The trilogy is based around the character of John Wayne Cleaver, a teenage sociopath who has all the traits of a serial killer, but who sets rules to keep himself from hurting anyone. The trouble is, demons keep coming to his town to kill people, and John has to break all of his rules in order to stop them. He’s not a warrior or a policeman or anything special, just a creepy kid who works in a mortuary, so he fights back the only way he can: by stalking people, finding their weak spots, and then striking from the shadows when they least expect it. What makes sociopaths, serial killers and others of their ilk so attractive to you? It’s a completely different way of thinking, seemingly senseless but often highly predictable. I suppose I’m mostly fascinated by the combination of good and evil—how someone can be totally normal, and even well-liked, for months at a time, and then out of nowhere they decide to kill a stranger and eat his arms and display his head in their living room. And then they finish, and they go back to being normal for a few more months, like nothing ever happened. I find that incredibly fascinating. Reading I’m not a Serial Killer I sometimes had to sit back to better appreciate how you played me like a puppet, Mr. Wells. I was fascinated by my reactions to John. I found enough common ground to relate to him, I empathized with him, I laughed about his observations and was shocked despite knowing what he was. In the end I cheered him on, while wondering who was the better person – John or the serial killer attacking the town. How did you do it? How did you turn a sociopath with killer instincts into someone relatable – even likable – and terrifying at the same time? If I tell you my secrets, I’ll have to kill you. Seriously, though, hearing people talk about how much they empathized with John, and how guilty they felt for doing it, is one of my favorite things in the world. The first thing I did was to make him funny—we like people who make us laugh. The second thing I did was to give him a horrible life; most of us can’t relate to being sociopathic, but we can all remember what it was like to be a teenager that nobody understood, who didn’t fit in, and who didn’t know to act around other people. We can relate to John because we’ve all been through that. Lastly, we like John because he’s trying to be good—even when we disagree with his methods, we always support his goals because they are, in the end, very noble. He’s sacrificing his own goodness, in a way, to help other people live. In Mr. Monster John has to deal with the consequences of his actions. The book takes on a darker tone, because the hero/protagonist/narrator does. What were the challenges of writing this book? The biggest challenge of this book, continuing the theme of the last question, was to keep John likable in the middle section. John is struggling to keep his dark side—the part of himself he calls Mr. Monster—under control, and it was important for me to let that dark side take over, even if only for a little while. In the first book we see him step up to the edge and then stop himself from going over, but it’s far more touching and heroic, I think, to let him fall over that edge and then claw his way back out. It’s harder, and more painful, but it’s far more redemptive and powerful. The downside, like I said, is that readers don’t like to see their heroes fall over that edge. When John kills the cat it really bothers people—that book shows a woman being tortured to death, and yet inevitably it is the cat that bothers people, because it is John that does it, and we don’t want John to ever be wrong. So far the reaction has been very positive: readers hate it when John stumbles and Mr. Monster takes over, but the heroic payoff when John gets back on top and reasserts his morals really makes people stand up and cheer. What can we expect from I don’t want to kill you? John ends Mr. Monster in a position of power and confidence—he’s in control, and he’s decided to start actively hunting the demons. In some ways this is good, because it gives him a clear and active purpose, but in other ways this just more self-delusion: he’s stalking people and trying to them, which is something he swore he’d never do. The book also continues the social theme of the previous book, because it’s so fun to take this twisted, sociopathic character and force him to talk to people. He’s great at stalking and killing, but he still can’t relate to anyone, and if he’s really going to solve his problems he has to learn how to connect with the human race. I’d like to apologize, for I have to ask. 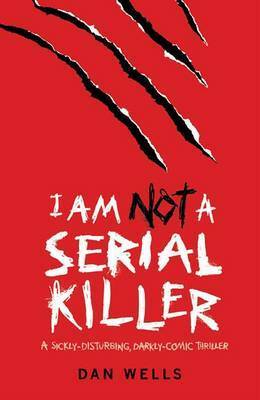 Were you aware of the TV show Dexter when you wrote I’m not a Serial Killer? Does it hurt when people accuse you off being an opportunistic knock off without having read your books? Anyone who reads them knows that you took the premise into a different direction. What would you tell them if you had the chance? I get this question a lot, so don’t worry. My editor and I learned about Dexter the weekend after he bought the books from me—he mentioned to a friend he was buying a series about a sympathetic serial killer, and the friend mentioned Dexter, and we both went out and watched it to see how close it is. This was several years ago, right as the TV show was starting to get popular. We were a little worried, but not much, because as you say the stories go in completely different directions. People who’ve read both series never complain about similarities. The problem, I think, is that the „helpful serial killer“ is a relatively new archetype, so it looks like we’re closer than we are. Compare, on the other hand, the „hard-drinking private detective“ or the „loose cannon cop,“ which are well-established archetypes that you see all the time. No one ever says that one book is ripping off another just because they’re both about detectives. I just give it time, and let people read the books, and let the stories speak for themselves. You live in Utah (USA), but you got published in GB and Germany first. Usually it’s the other way round. Why did it happen that way? Were there any advantages or disadvantages to that chronology? This was a simple quirk of scheduling—I sold to a US publisher fist, but they didn’t have room in their schedule for almost two years, whereas the European publishers had some open slots and were able to get the books out much earlier. This is kind of nice because it makes people assume I’m European, but the main benefit has been that the huge success in Germany has been a great motivator for the US—they see how well the books are selling overseas, and that makes them want to push the books a little harder over here. Your various publishers market the serial killer trilogy very differently. 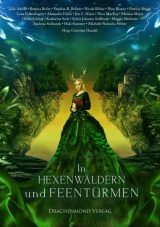 In GB it’s published as YA horror by a YA imprint, in the States as thriller by a speculative fiction imprint, in Germany as a thriller by a main stream publisher. Depending on the strategy the publisher has employed, were there any differences in reader reactions? Which strategy suits the trilogy the most in your opinion? Every strategy has it’s advantages, though the UK was the only market that didn’t fall into the „shocking supernatural twist“ problem. In both the US and Germany, people assume it’s a straight crime novel, and a lot of readers get upset when the story goes supernatural halfway through. I think the YA focus of the UK edition helped avoid that problem. On the other hand, the books sell better in Germany than in every other market combined, so whatever Piper is doing, they’re doing it very well. Some readers were (negatively) surprised* by the paranormal elements. Would/Could you have written the books without them? I could have written the books without supernatural elements, and I think it would have worked well, but this was the story that excited me. I wanted to show a sociopathic character who can’t connect to humanity, and contrast him with a supernatural monster who can; I wanted to take standard serial killer behaviors and explain them in a new, shocking, supernatural way. The books might have been more successful as straight crime novels, but this is the story I wanted to tell. What projects are you working on nowadays? When will we see them in Germany? Right now I’m doing a final rewrite of another supernatural thriller, this time about a schizophrenic man who discovers that some of his hallucinations are real. If all goes well, you’ll see it in Germany sometime next year. After that, I have several other projects going that I’m not quite ready to talk about; I will say, though, that at some point I’d like to come back to the world of the John Cleaver books. Do you intend to return to John and the world you’ve created? Yes I do, definitely. When I do, though, it probably won’t be from John’s point of view—he’ll be there, but I’d really like to tell some stories through the eyes of a demon. Almost a year ago you gave up your day job to become a full time author. Congratulations! Now, that you’ve settled into something of a routine, are there any aspects off being a full time novelist that have surprised you? What has become easier, what harder? Being a full-time author means I am also a small business owner, and that has involved a lot more work than I expected—it’s not just all writing, all the time, which is what I naively expected. It’s still wonderful, though, and I wouldn’t trade it for anything. You did a small European book tour this spring. Among others, you’ve visited the Leipzig book fair in Germany. What was it like? Please tell us your best travelling anecdote. I loved the Leipzig book fair, and honestly I just love Germany—that was my second visit, and I can never wait to go back. There’s something really great about the country, and about Austria, which we’ve also visited, that I really loved, plus they have a great reading culture. Our best story from the trip actually happened to wife on the flight home; I flew to London, but she flew to Paris and then home to Utah. She was sitting by a window, right over the wing, and in the middle of a huge storm the wing got hit by lightning. She screamed, and everyone screamed, and the flight attendant thought they’d been bombed, but eventually they got it all sorted out and the plane was unharmed and everyone was fine. Along with Brandon Sanderson (of The Wheel of Time and Mistborn fame) and Howard Tayler (of the Schlock Mercenary webcomic fame) you produce one of the best writing related podcasts out there. How did you get involved in Writing Excuses? Who came up with the concept and the fantastic tagline? Writing Excuses actually just won another Parsec award, our second in as many years, for Best Writing-Related Podcast, so we’re really excited (and kind of surprised) by how much people like it. The concept came from our producer, Brandon’s brother Jordan, who took a college class about online media and told us we ought to start a podcast. Brandon and I had been friends for years, and we knew Howard through some of the local conventions, and we thought that the three of us could be, if not helpful, at least entertaining. We settled on 15 minutes because so many podcasts are too long, and we wanted to be short and crisp; we settled on our tagline because Howard is funny, and it made us laugh. You’ve aired a new episode of Writing Excuses every Monday for four years. That takes an incredible amount of time and commitment. What are some of the challenges you have faced and what are the rewards? Our big challenge at this point is finding new directions for old topics. There’s a lot to say about, for example, dialogue, but if we don’t have a clear focus for a dialogue episode we’ll end up saying all the same stuff we said in the last dialogue episode. We try to find new ground with episodes like „character voice“ and „editing dialogue“ and things like that. I don’t think we’ll ever run out of topics, but we’ve already hit all the easy ones. Thank you, Mr. Wells, for taking the time to chat and not siccing your vampire bunnies on me. Good luck for your career and other endeavours. Do you have any final words? Thanks for the opportunity, and thanks to everyone who reads and shares the books. As long as you keep reading them, I’ll keep writing them. Now, that won’t be a hardship. A schizophrenic guy with real hallucinations sounds really interesting and I know he can pull it off. Dan Wells is a great author and very funny guy when you least expect it. 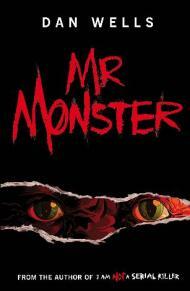 His first novel I’m not a Serial Killer was a huge bestseller in Germany and Mr. Monster did just as well. The German version of I don’t want to kill you was released last week so go out and get it. It’s awesome. And creepy. If you want to know more about Dan Wells visit his website where he keeps an insightful blog. For chuckles and writing tips there’s no better address than the podcast Writing Excuses. You can get the episodes as mp3 files there or download them for free on itunes. My next interviews are going to be with Jim Butcher, Nicole Peeler and Diana Rowland. So keep an eye on Darkstar’s Fantasy News. 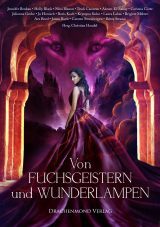 hwm ist eine Mittzwanzigerin, die reuelos ihrem Laster frönt: dem Lesen von Fantasyromanen. Da niemand in ihrem Umfeld ihre Leidenschaft teilte, wandte sie sich dem Internet zu. Amazon entpuppte sich als ihre Rettung – sie fand dort ein williges Publikum für ihre Ansichten, eine riesige Auswahl an englischen Büchern und eine rückenschonende Alternative, dicke Schinken nach Hause zu transportieren. Man kann hwm noch immer dort finden – vermutlich, weil sie zu faul ist um einen eigenen Blog zu betreiben.Sie ist Darkstar dankbar, dass sie durch ihn die Möglichkeit hat Autoren zu interviewen. Kommentar Darkstar: Und ich bin hwm extrem dankbar, dass sie mir immer wieder mit tollen Interviews oder coolen Rezensionen unter die Arme greift!